From rsum preparation to e-mail exchanges, effective business communication is essential to your professional success. 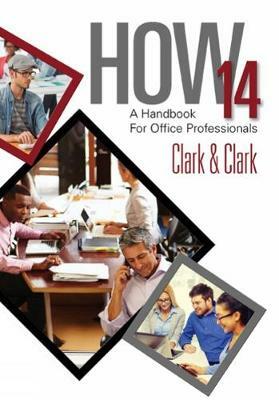 HOW 14: A HANDBOOK FOR OFFICE PROFESSIONALS is your inside guide to communicating clearly and with confidence. Since 1975, HOW has been recognized as the leading reference source for business writers, office personnel, and students. Each new edition introduces the most recent changes in today's language and the latest developments in the current business environment to ensure you have the easy-to-understand, reliable reference manual you need for successful business communication. Detailed, precise information guides you in writing, formatting, and transmitting communications as well as utilizing the capabilities of social media. Unlike other reference books, HOW is specifically tailored as your single resource and learning guide for writing style, grammar, mechanics, and modern technologies in today's business or office environment.